Do you find it hard to get started? How would it feel to start your day feeling calm and in control? When you sit down to start work in the morning, instead of procrastinating over where to start you’re crystal clear about your priorities. You can focus on what you’re doing without being pushed and pulled around by distractions. Feeling more positive, you get stuff done with ease and feel good about what you’ve achieved. I have something that will make that a reality for you! This four-week journey will set you up for productivity greatness! You’ll learn ways to get big and small things off your to-do list with ease, focus and calm. You’ll learn how to figure out what’s important and where to start, using techniques that have been tried and tested by me and my clients. You’ll discover how to improve your focus. By the end of our time together you’ll be calmer, have more clarity and feel like you’re finally making progress in your business. "This is a brilliant technique Louise - I love it. So simple but creates so much more brain space. Thanks!" Productivity Made Simple is an online course delivered over four weeks. We focus on one new habit at a time so you can gently embed each into your day. Each habit is manageable whatever your situation, and I’ll be providing plenty of guidance around how to make them work for you. Be able to celebrate your accomplishments, understand why that’s important and how it can help you be even more productive! You’ll spend the week experimenting with a technique that will help you get stuff done with less stress and more ease! You’ll have access to a secret Facebook group so you can share your challenges and successes with me and the fabulous people who are on the Productivity Made Simple journey with you. Prefer not to use Facebook? That's ok; you'll still get heaps of value from the course! There'll be a weekly Q&A to ensure you’re getting the most from each week's experiment. PLUS! As an added bonus I'll also be giving you access to "How to make Facebook a distraction-free zone". If you don't want to stop using Facebook, but you DO want to stop mindlessly scrolling, this is for you! In this bonus I share some very nifty tips and tricks that allow you to enjoy all the great stuff that Facebook has to offer without getting distracted. Hooray! By the end of the four weeks, your focus will have improved and you'll have strategies to help you deal with procrastination. You’ll feel calmer and less stressed so you can enjoy your down-time without constantly worrying about work. You’ll have laid the foundations that will take your productivity and your business to the next level! "This is a fantastic course. It strikes a perfect balance between providing brilliantly useful information and not overwhelming you with too much reading or things to do. I can honestly say this course has changed the way I work. Loved it - highly recommended." "Louise is full of fantastic ideas to help you be more productive - I really enjoyed the course and Louise's gentle, kind and positive approach. I now have a set of simple but wonderfully effective tools I can use to help me get important stuff done." Would you like to learn new ways of working that will reduce overwhelm and help you make progress in your business? This four-week adventure in productivity is just £47. Doors close at 8pm on Friday 14th September 2018. We get started on Sunday 16th September 2018. What’s it costing you to stay as you are? How much time are you losing to distraction and procrastination? Think about what you could be doing instead; the projects you could develop, the clients you could serve, the fun and relaxation you could enjoy without feeling guilty. This course will help you get there. 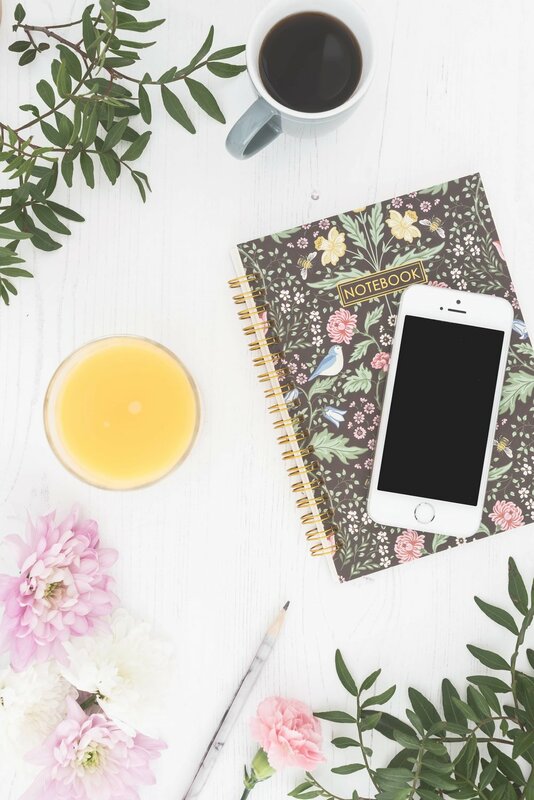 To see what life could be like when you ditch the distractions and take control of your time, book your place on Productivity Made Simple now for just £47. Just click the button below! Yes please, I want in! "I gained a lot of new techniques that have without doubt helped my productivity and taught me a lot about myself. I wouldn't hesitate to recommend this course." "If you feel you're frittering your days away, and want to get more out of your time, then this is for you." If, like them, you want to make the most of your time so you can make progress in your business, get in on the action for just £47 by clicking the button below. Yes please, I'm ready to get stuff done!